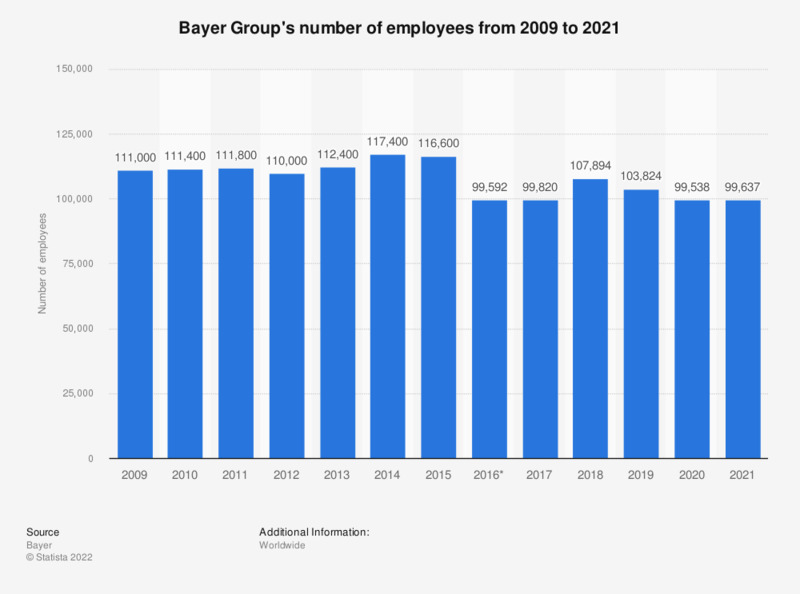 This statistic depicts Bayer's number of employees from 2009 to 2018. Bayer AG is a chemical and pharmaceutical company, headquartered in Leverkusen, Germany. In 2009, the number of employees at Bayer stood at some 111 thousand. Number of employees as of December 31 of each year.